Riding on MS Dhoni’s shoulder, Chennai Super Kings managed to file its seventh appearance into the IPL 2018 finals. 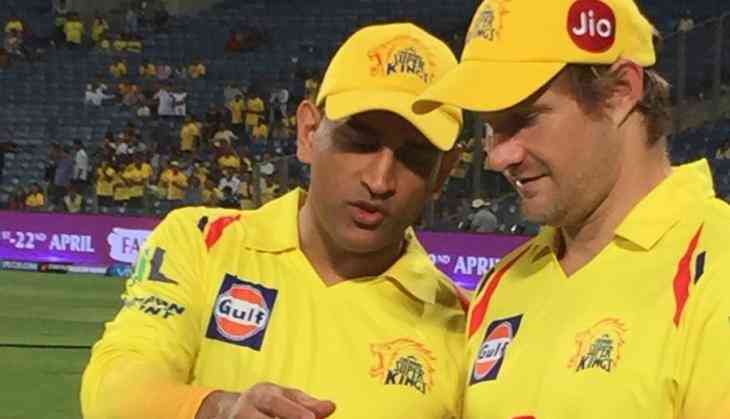 Shane Watson praised Dhoni’s sensibilities, leadership skills and his determination on the field and said that it was because of the CSK captain MS Dhoni that he has returned to consistent form in IPL 2018. Watson also said that he was very blessed to have got this opportunity to play for the Chennai Super Kings. “I’m very fortunate to have an opportunity at CSK like I have, to be able to open the batting throughout the tournament, to be able to bowl certain overs whenever MS (Dhoni) needs me”- Shane Watson, as per reported by cricket.com.au. Chennai Super King skipper MS Dhoni showed faith and confidence in the 36 year old all-rounder by sending him to open the innings for CSK in every match, and Watson lived up to it with brilliant consistency. “Just his feel and intuition for the game, I’ve experienced that with a few incredible players I’ve played with, MS is certainly right up there,” Watson said. The Former Australian test Captain Watson had given the best output so far as compared to the last 10 editions of the IPL tournament. The Australian star has contributed 438 runs and got six wickets in the compaign. Shane Watson has already given his services to the Rajasthan Royals and Royal Challengers Bangalore in earlier IPL seasons. This year Watson was picked up by the Chennai Super Kings in the IPL 2018 auction.